HBO is going all out to limit Game of Thrones piracy. The company is sending out thousands copyright infringement warnings to alleged pirates, encouraging them to get an HBO subscription. In addition, the company is requesting torrent sites to remove Game of Thrones torrents, at a rate rarely seen before. Tomorrow night the third episode of the latest Game of Thrones season will appear online, both through official and unauthorized channels. With millions of people all around the world eager to see how Jon Snow is doing, the interest on various pirate sites will be massive once again. While HBO generally seems quite cavalier when the piracy topic comes up, the company is actively trying to contain the fallout behind the scenes. Since the start of the new season the company’s anti-piracy partner IP Echelon has sent thousands of warnings to ISPs, urging them to take action against alleged pirates. 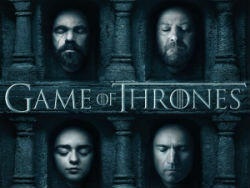 The warning mails in question include the IP-addresses of BitTorrent users who were caught sharing recent episodes of Game of Thrones, and the notifications HBO asks the ISPs to alert the associated subscribers to prevent further infringements. While these notices are pretty common, HBO now also encourages ISPs to point subscribers toward legal options, something we haven’t seen in the past. “We also encourage you to inform the subscriber that HBO programming can easily be watched and streamed on many devices legally by adding HBO to the subscriber’s television package,” the notification adds. Legally, ISPs are not obligated to forward these emails, which are sent as a DMCA notification, but many do. In any case, HBO doesn’t know the identity of the alleged pirates, so there are no legal strings attached for the subscribers in question. Aside from targeting alleged pirates, HBO has another strategy to deter people from pirating Game of Thrones. Since the start of the sixth season the company has aggressively targeted torrent sites with takedown requests. While some sites simply ignore these, popular indexes and search engines such as KickassTorrents and Torrentz have removed links to hundreds of torrents. In some cases, the most popular torrents are removed a few minutes after they appear online. This is much quicker than average, suggesting that HBO’s anti-piracy partners are monitoring the situation in real time and on a broad scale. A search on KickassTorrents shows that the most popular torrent releases for the first two episodes have been removed. Similarly, a search for Game of Thrones on Torrentz notes that links to the 100 torrents with the most peers are all gone. It’s clear that HBO is doing all it can to limit the distribution of pirated Game of Thrones episodes. However, the question remains as to whether it will be enough to really deter a significant number of downloaders from finding copies on other sites, where they are still readily available.